How cute are these animals. Perfect for teachers, blogs, web pages, scrapbooking and more. 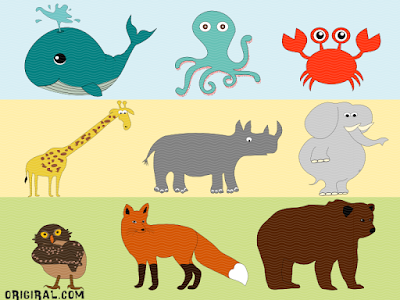 Forest animals: owl, fox, bear. Each separate clip art in this set is included in both high quality 300dpi PNG format with transparent background and also JPG format. Also includes a SVG format perfect for cutting machines. The art pieces are from 3,5'' wide to 7,6'' height.